If Facebook doesn’t revise its outdated policy on Holocaust denial, regulators will inevitably change it for them. That will leave Facebook and the Zuckerbergs not just stuck in the past, but on the wrong side of history. 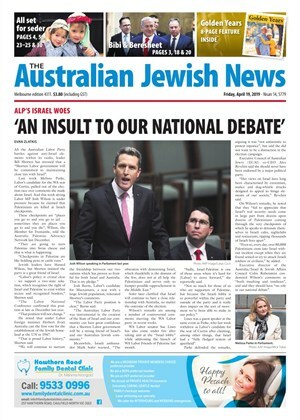 Anti-Semitic and racist posters have been stuck on walls in Melbourne this week by a group claiming to be “Australia’s only National Socialist Youth organisation”. 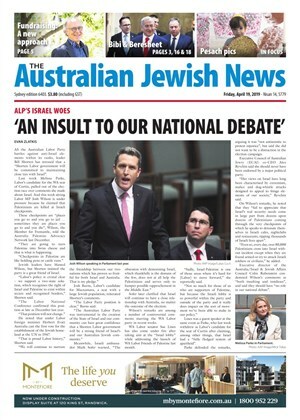 AUSTRALIAN activists were among the 1200 delegates at the fifth Global Forum for Combating Anti-Semitism in Jerusalem last week. WHEN Bnei Akiva’s Facebook page was hacked by a global anti-Israel online movement on the second day of Pesach, the social media giant moved quickly to help restore normal operations. THE Cricket World Cup final didn’t stop more than 150 people attending B’nai B’rith and JNF’s Jewish Changemakers Awards at the B’nai B’rith Centre on Sunday, March 29. COMMUNITY leaders say section 18C of the Racial Discrimination Act (RDA) helped them to persuade Facebook this week to close down a page run by the Australian branch of the far-right Greek political party Golden Dawn.